Valentine's Day is around the corner and many of us are searching for the perfect gifts for the ones we love. A holiday of cards, flowers, and chocolates originating in the UK, Valentine's Day has become an American tradition that is here to stay. Thankfully sweets for your sweeties don’t have to be bad for health or the planet anymore. In 2017 there are so many beautiful and delicious ways to give. In consideration of all involved in your gifts’ production, choose ethically-made and Eco-friendly products. They are unique and made with love for you and the planet. Check out my eco-friendly Valentine’s Day gift ideas and have a happy, healthy, and thoughtful Valentine's Day! Unfortunately many of the candies marketed for Valentine's Day are not-so-sweet when you take a look at their ingredients. Most mass-produced chocolates are filled with hydrogenated oils, corn syrup, and other artificial flavors that wreak havoc on our health. Thankfully we have delicious, organic, vegan, and fair-trade sweets available as an alternative. Flowers sold at most stores are sprayed heavily with pesticides and imported across from the world. In a typical year, between 85 and 95 percent of the most common cut flowers sold in the U.S. are imported from Colombia or Ecuador. 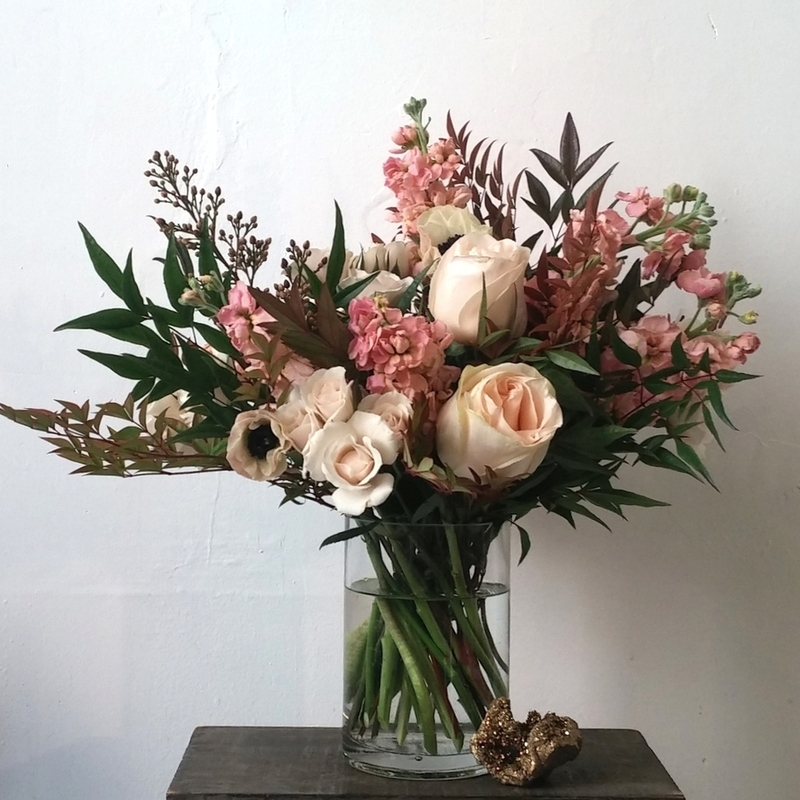 Feel happy about your Valentine's Day bouquet by giving flowers from an organic florist. Lingerie production is not what it used to be. Most big retailers have exported their lingerie fabrication to sweatshop labor in countries that pay their employees pennies a day and put their workers in dangerous situations (see True Cost to find out more). Fortunately there are still brands that specialize in lingerie that are dedicated to sustainability and quality of production. Give a gift that makes your women feel beautiful and empowered, knowing that she is wearing something good for her and the world. Jewelry, regardless of the price, has also become a business using unethically produced materials. Cheap costume jewelry doesn't last, and usually is produced using unfair labor. Expensive jewelry is often made with materials that, when mined, cause destruction to the environment and exploit the poor communities inhabiting them. There are so many jewelers that refuse to follow this unsustainable model, that we have an option as consumers to give ethically. Beautiful and on-trend, you are sure to please your loved ones with gifts like these. If you live in a city that has farm-to-table or vegan restaurants, make your Valentine's Day reservations there. The food will be healthier and better for all involved (our planet, the farmers, and the consumer). I have an extensive list of restaurants in my resources section HERE. If you don't have access to restaurants like this, or you want to impress your loved one with a romantic meal at home, check out amazing ideas from sustainable, vegan cookbooks. Have a happy, healthy, and thoughtful Valentine's Day, and please leave comments with your eco-friendly, sustainable Valentine's Day ideas below. New York City is a haven for vegans. There are vegan restaurants, farmers markets year round, vegan bakeries and frozen-treat spots, and most corner bodegas now carry vegan products. But the variety doesn't end there. With an ever-growing number of plant-powered juice spots, NYC gets better everyday. Found in Manhattan and the surrounding burrows, fresh-pressed, organic juice spots offer healthy options on-the-go, and are a favorite vegan option for me during my busiest days. Check out my list of the best juice spots in NYC, and give yourself a healthy, plant-powered boost to fuel your day. The Squeeze is a wellness and beauty lifestyle company whose mission is to bring you the next level of nutritional consciousness through detox cleanses, superfoods, and fresh live produce prepared into raw gourmet meals. The Squeeze is dedicated to producing and offering the best tasting raw foods available in Manhattan, while simultaneously honoring the planet and our environment. 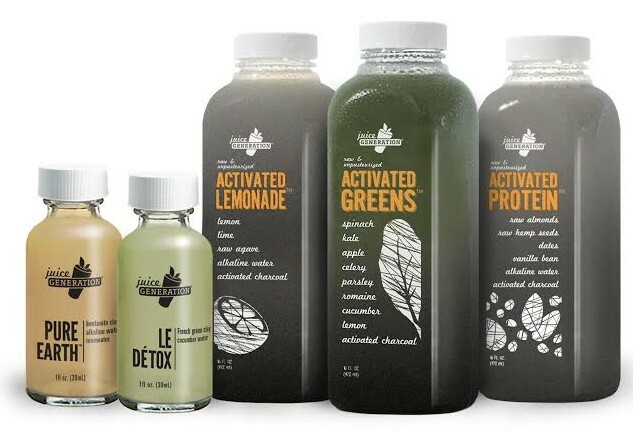 The Squeeze's selection of cold pressed juice cocktails, raw food, and natural cleanses can be the catalyst to a major lifestyle change, certain to take your body from beefy to leafy! This change will help restore your body to its maximum health potential, while enhancing its natural beauty and radiance. It is our mission to make healthy living effortless, efficient and simple so you can add in the good which naturally crowds out the bad. MMJ is based on the concept that being healthy shouldn’t have to mean depriving yourself. Our principles are to always use fresh, organic ingredients to create nutritious plant-based foods and juices that are made from scratch in-house daily. We believe that no one solution fits all so we encourage you to make bio-individual choices that fit your lifestyle, and needs. All our products are gluten-free, raw, vegan, kosher and of course always organic and fresh. FREE of GMO’s, pesticides, preservatives, additives, artificial fertilizers, artificial flavors, corn syrup, wax, pollutants. Long-time juicing devotee Eric Helms founded Juice Generation in 1999. His mission: Create a friendly, accessible juice bar where New Yorkers of all lifestyles, ages, and dietary backgrounds could experience the energizing effects of fresh, raw juices made with premium ingredients—conveniently and affordably. Eric began by opening a small juice bar in New York City's Hell's Kitchen, where he got to know his customers' needs, preferences and health stories from the best vantage point possible: behind the counter, serving the pioneering members of New York's "juice generation." Juice Generation is a proud member of the Green Restaurant Association, a national non-profit that helps restaurants and consumers work together to become more environmentally responsible. It is among the top NYC restaurants participating in NYC's Food Waste Challenge, which is aimed at reducing the amount of edible waste sent to landfills. Juice Generation is committed to using as much organic and local produce as possible. As an independent New York City company, they love supporting independent farmers in New York and the Northeast because they're essential to the greater health of our community and environment. All of the cold-pressed juices and raw foods are Certified by the Non-GMO Project, which guarantees that they only source produce and products that are void of GMOs. Located in Williamsburg, Grass Roots Juicery promotes healthy living through organic cold press juicing, smoothies, fresh-squeezed juices and healthy food options. Their organic cold press juice blends can be purchased from the retail fridge, and juice blends and smoothies are made to order. Grass Roots Juicery is a unique and vital resource to the community based on the understanding that there is always room for growth and education on healthier options for a healthier life. They plan to fill the community not only with their highly regarded juices and health foods, but also with education and encouragement… healthy life, happy life! Grass Roots Juicery offers food and products carefully curated for neighborhood customers, using vegetables and fruits from local farms whenever possible. The sandwich selections vary with the seasons and they use choice ingredients to bring food that is simply prepared and filled with flavor. What's your favorite juice spot in NYC? Write me a message or leave a comment and let me know! Thanks as always, and be well.